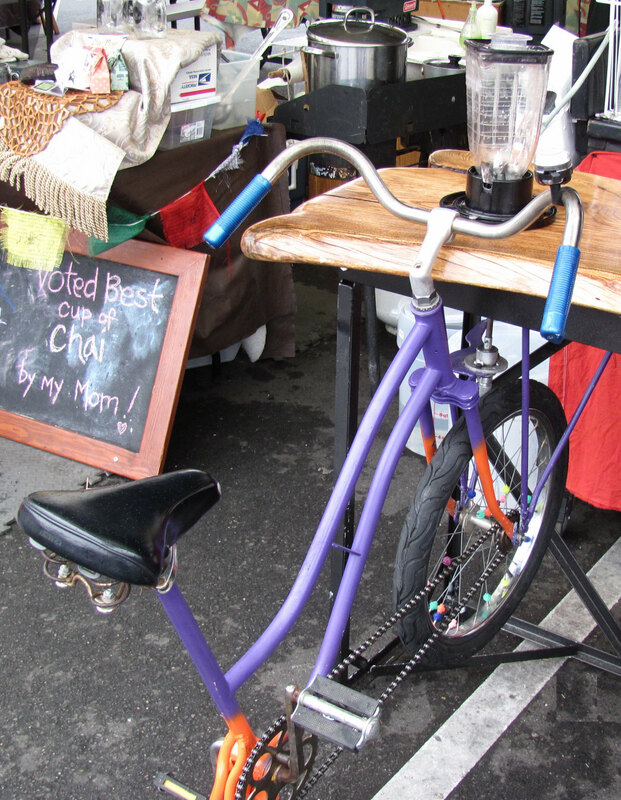 I tried one of these bicycle powered blenders at the Farmer's Market. Takes about one minute to make a smoothie. Normally, I don't drink smoothies, but wanted to try this. Cost $5. Next day, I explained the process to someone who ask me a few questions. When he asked, "cubed ice?" I thought he asked, "cute men?" The answer was, quite a few cute men around the market. We both got a good laugh out of that one. I heard cute men when he asked about cubed ice. My mind was following the money thinking, "was it worth $5?" Part of the equation of value is the experience. Cute men would add to the experience. 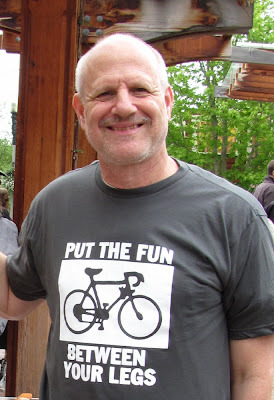 On another note, today was the festival in Fairhaven which marks the last day of Ski to Sea. Also, the festival in Fairhaven was more enjoyable than years past. They had a section of booths for non profit organizations. This was a nicer atmosphere than having all of the festival be commercial and a beer garden.